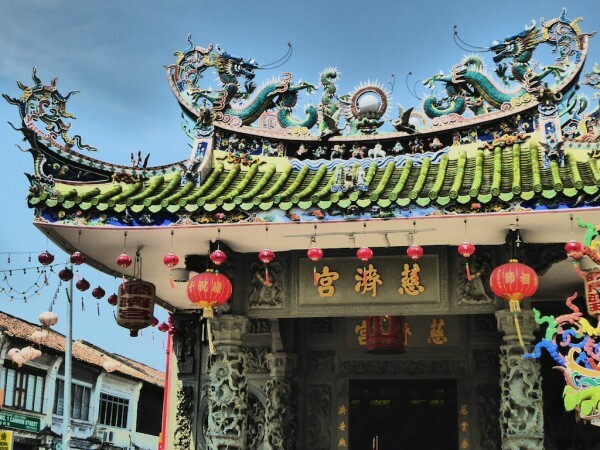 Georgetown in Penang is often regarded as one of the best foodie capitals of Asia. This city in Northwest Malaysia has taken the best from all the Asian cuisines, created it’s own eclectic mix, to produce this foodie paradise. Naturally, we were dead excited to go face down in the many food offerings, so we couldn't wait to set foot here. 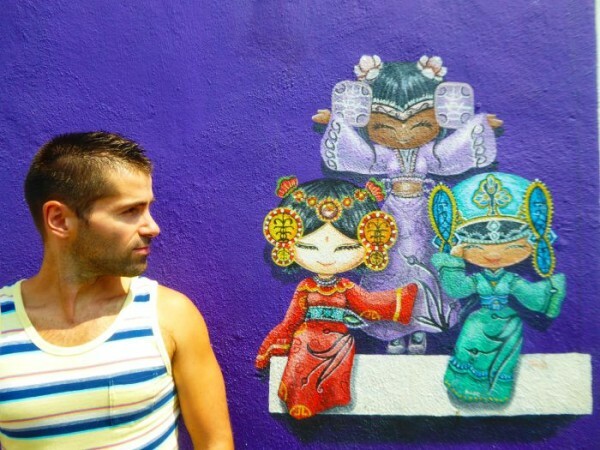 We've compiled our favorite places to eat, activities to do, gay friendly hotels to stay, fun bars and clubs in this gay travel guide to Penang. Have a fabulous time in the food capital of Asia! Where to eat in Penang! 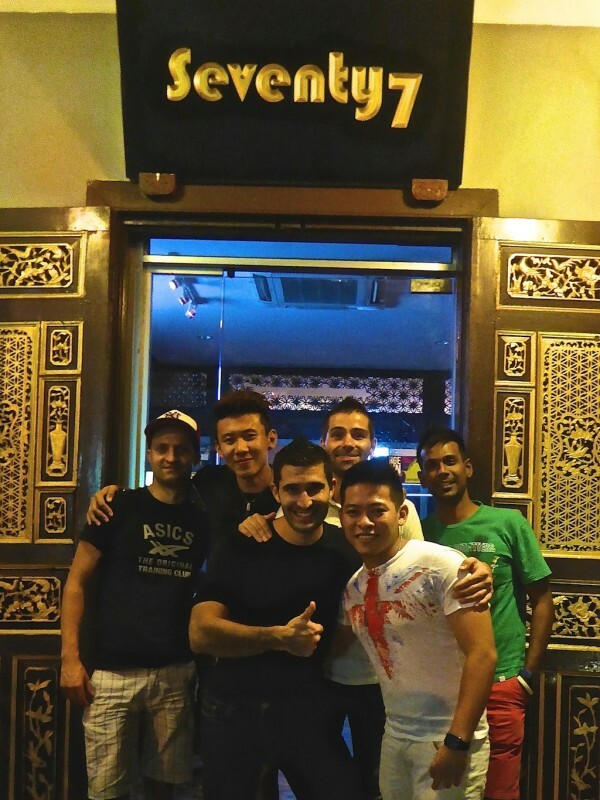 Cafe Seventy7 is well known as the (un)official gay bar of Penang. 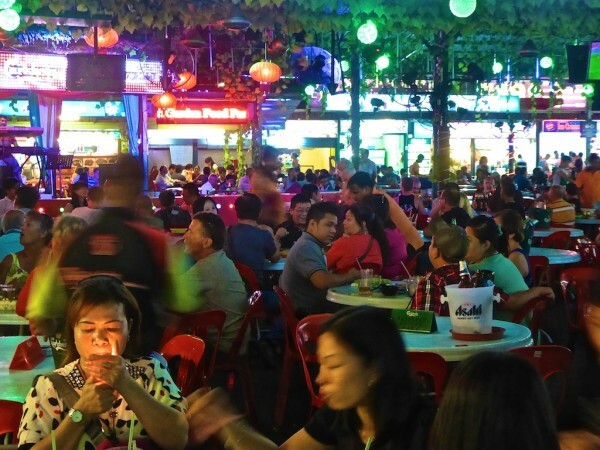 Fridays and Saturdays are the busiest evenings, attracting a mix of both locals and expats. Seventy7 is located at 34 Jalan Nagor in George Town and we had some good fun nights out here. China House is an institution in Penang, located in the heart of George Town at 153 Lebuh Pantai street. It's great for coffee and cakes during the day and becomes a cool hipster and gay friendly hangout later in the day. 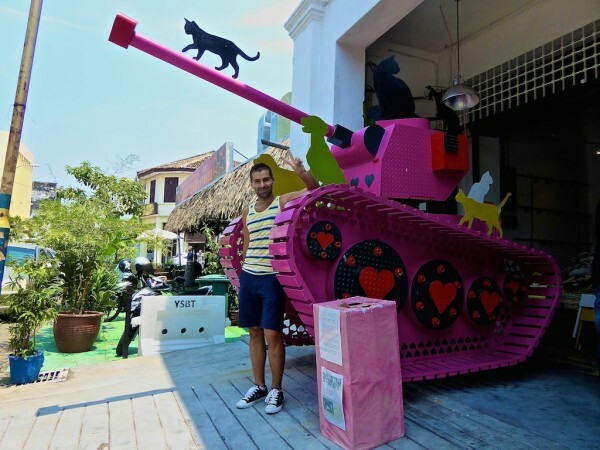 It even has a pink tank outside! That Little Wine Bar is another gay friendly hangout, great for both food and drinks, located at 54 Jalan Chow Thye. It is tucked down a side street, a little way out from George Town and attracts a mixed crowd. We stayed in a variety of places in Penang, each catering to a different budget. These were the three we found to be the most accepting, welcoming and open to us as a gay couple, which we highly recommend. All of these places are located in George Town, the heart of Penang. 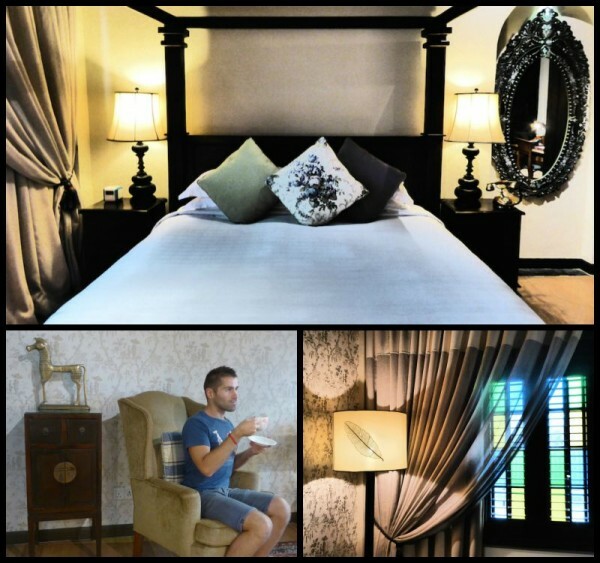 Gayy friendly luxury boutique hotel, right in the heart of George Town. Each suite is grandiose and furnished with very expensive and beautiful Peranakan furniture. The staff are super cute and very friendly, and as an added bonus, they have a great outdoor pool, where we tried to re-enact Michelangelo's “The Creation of Adam” fresco. The cost of staying in one of the suites at Seven Terraces starts from 550 Ringgits (£86/$132) a night. Stylish boutique hotel centrally located and surrounded by food wonders. It is perfect for a romantic stay in Penang. The service was incredible and the little touches made our stay very special. For instance, every room was equipped with a Nespresso coffee machine and each afternoon, fresh iced tea with home made cake was placed in our fridge. The cost of staying in one of the 11 suites at Campbell House starts from 350 Ringgits (£55/$84) a night. Very cool budget option in which you stay in a pod for around 70 Ringgits (£11/$17) a night. The pods are split into rows of 2, 4 or 8 and each one is equipped with a TV, mirror, cool purple lights, air con, safe, coat hanger, USB and many more. It's like you've travelled into the future…check out the purple lighting! Penang used to be a major trading port during the British colonial times, which brought significant Thai, Indian and Chinese influences. Red Market at 20 Leigh Street is a busy hawker centre selling everything from satay, laksa, dim sum, noodles of all sorts and many many more. A mix of locals and tourists gather in the communal seating, ordering food from the surrounding stalls, creating an exciting atmosphere. Tai Tong restaurant is located on 45 Lebuh Cintra, famous for its dim sum and the very cute old ladies (aka “aunties”) wheeling around a trolley of these little Cantonese prizes. You pick which dim sum you want from their trolleys and bon appetit! Hameediyah at 164a Campbell Street is a family run institution, famous for its murtabak, or Indian pizza. It’s been going strong for over 100 years. Teochew chendul at 27 & 29 Lebuh Keng Kwee street was highly recommended to us for Malaysian chendul. Chendul is a popular dessert of rice flour noodles made green from pandan leaves, coconut milk, shaved ice and red beans. It reminded us a bit of the halo halo dessert we tried in the Philippines. Kapitan restaurant at 93 Lebuh Chulia street is a 24/7 Indian heaven selling Indian classics, like tandoori and naan bread all hours of the day. 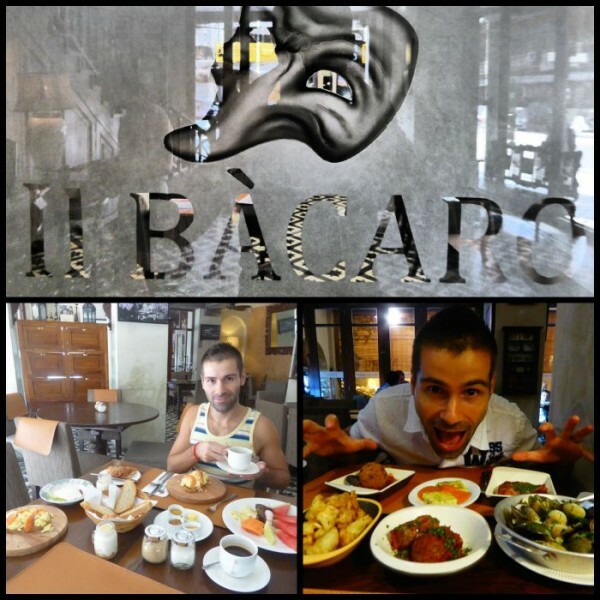 Il Bacaro restaurant at 106 Lebuh Campbell street is the in-house restaurant of the excellent boutique hotel Campbell House. It is great if you want a break from local food and crave something Western. This was some of the best Italian food we've ever had, rivalling some of the highly rated restaurants back home in London. Well if you haven’t booked a foodie tour or a cooking course, what the hell are you waiting for? Penang is THE place for it! 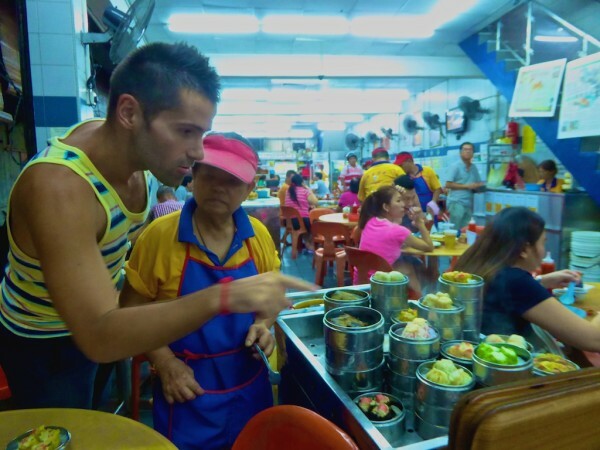 Food Tour Penang is a company offering excellent food tours taking you to the popular restaurants and hawker stalls in the city. Our guide was Junie, who drove us around to try Penang's classics like assam laksa (rice noodles with fish broth, soured with tamarind), chendul dessert, ban chan kuih (Chinese crepes), hokkien mee (shrimp broth with yellow noodles, popiah (similar to fresh spring rolls), murtabak and many more. 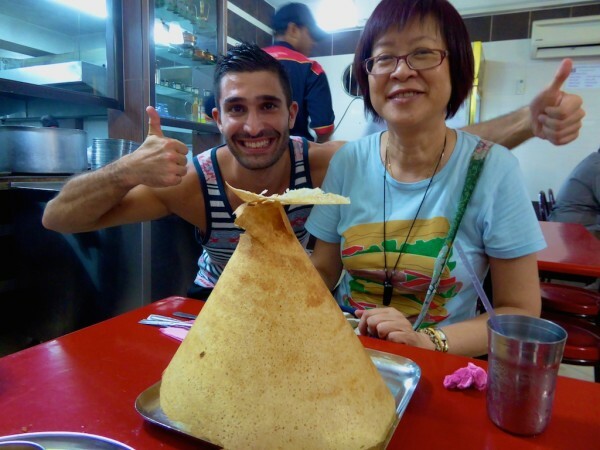 We loved our food tour and were particularly impressed by the way the 3 dominant cultures in Penang (Malay, Chinese and Indian) are so well integrated together, united by food. 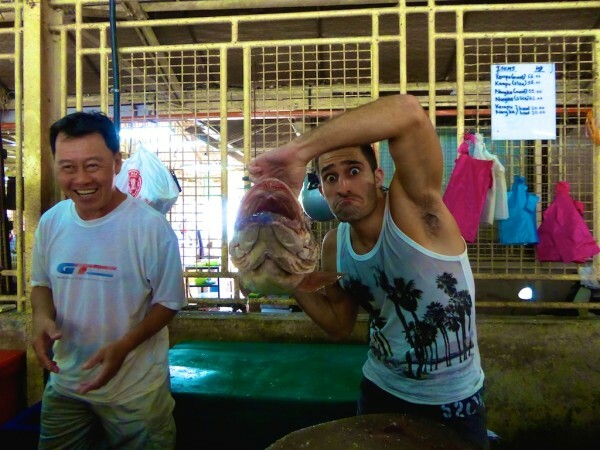 A tour with Food Tour Penang cost 275 Ringgits (£50/$62) per person. We did a cooking course with the adorable Pearly Kee, who is world famous for her Nonya style cooking (Chinese influenced). Pearly is funny, sharp, sassy and very cheeky. We absolutely fell in love with Chef Pearly and had one of our favourite ever cooking experiences with her. Pearly taught us to make beef rendang (a coconut milk based curry, cooked until it’s dried) and Curry Kapitan (a coconut based curry soured with tamarind and lime juice). 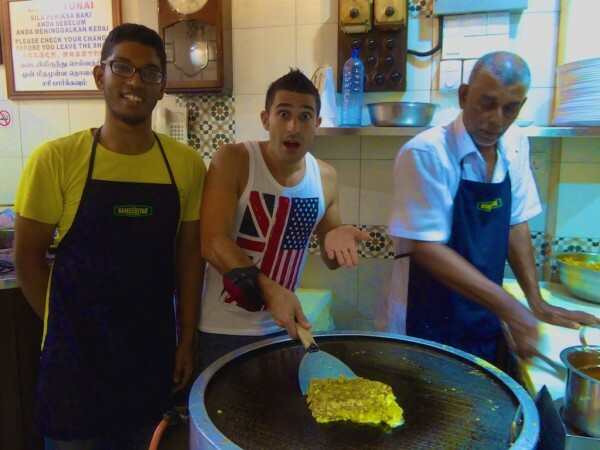 Penang does of course have a great deal more to offer then its impressive mix of food. The central George Town area itself is UNESCO protected, with a variety of beautiful cathedrals, temples and mosques to visit. 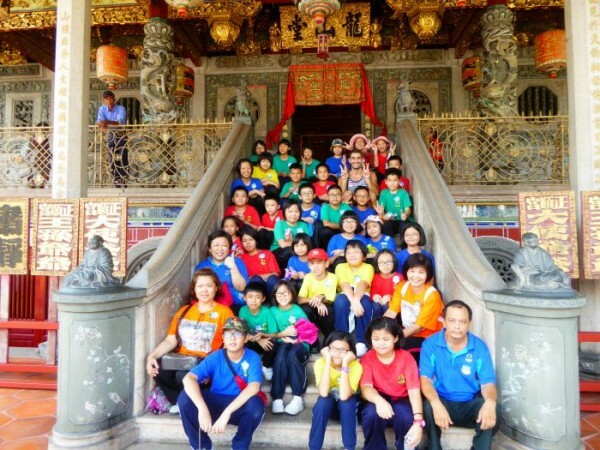 Can you spot Stefan at the Khoo Kongsi Chinese clan house in Penang? The jetties are also popular to visit, forming a mini waterfront society, home to houses on stilts. The remaining 6 jetties in Penang are over a century old and each named after a Chinese clan (like Yeoh, Chew and Lim). 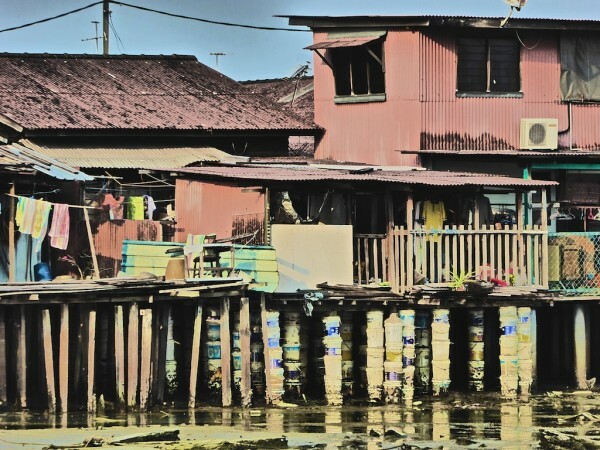 The wooden houses on stilts were literally built on water (ie not on land) so the residents could avoid paying any tax. 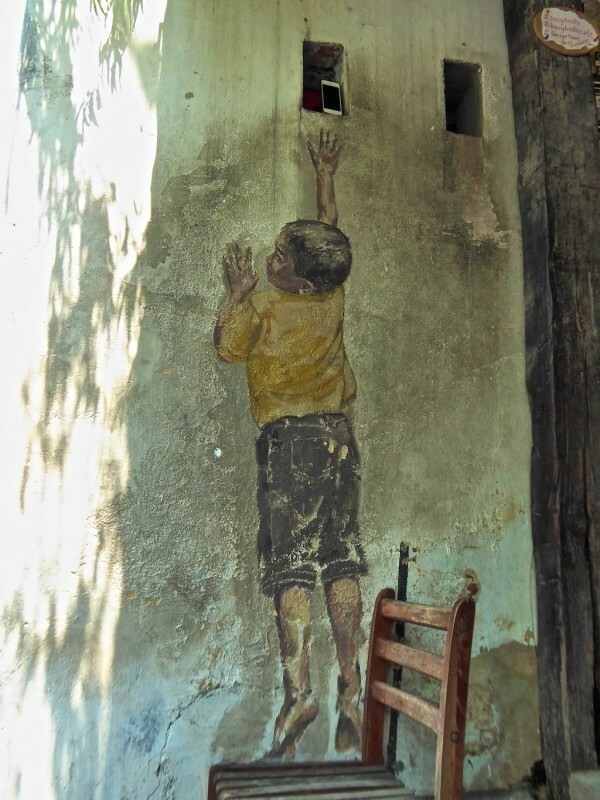 As part of the campaign to obtain the UNESCO status in 2008, the Penang State Government started a competition to install street art around George Town, with a full brochure explaining each one and where they can be found. You may want to consider it after taking in all those calories. 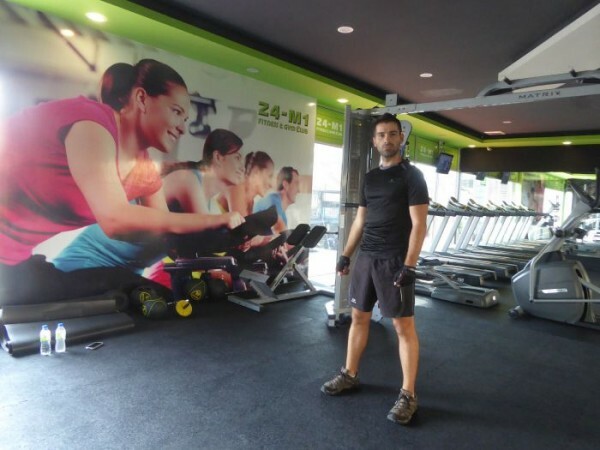 The newly opened 24 M1 Fitness Club at 12/13/14 Komtar Walk just off Penang Road, is a great place for it. We each paid 90 Ringgits (£14/$22) for a weekly pass or 18 Ringgit (£3/$5) for a daily pass. 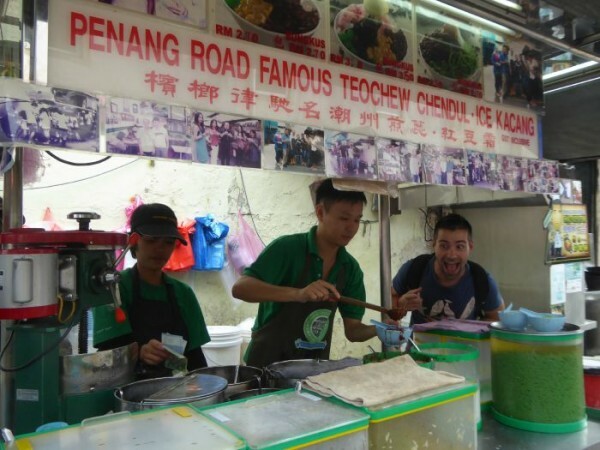 But look let’s face it, at the end of the day, as foodie travellers, Penang is THE place you come to for some of the best food…and boy did we go crazy discovering it! Great guide guys! This is so relevant these days. 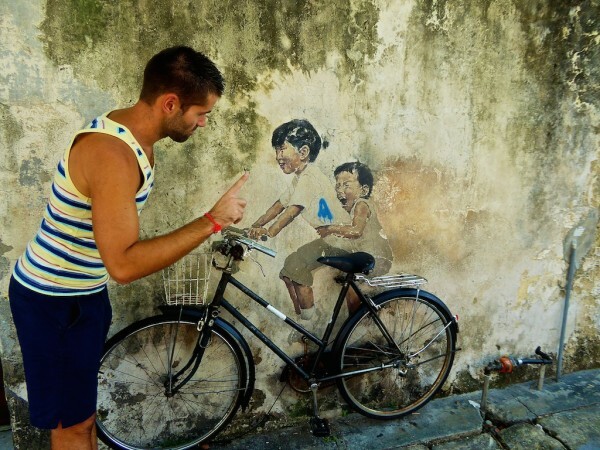 Thank you for sharing your travel tips in Penang. It was so helpful. My partner and myself can’t thank you enough to you both. Every time I read one of your posts I want to simultaneously fix a snack and book some plane tickets. 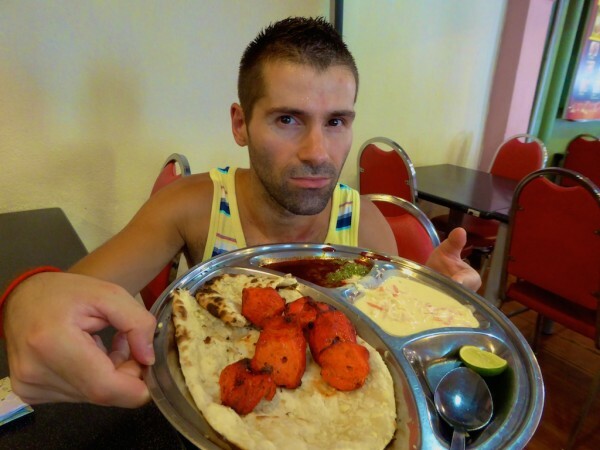 The food scene in Penang looks amazing and I would go nuts at Kapitan – that naan bread looks irresistible! Ahahahahahaha!! Thanks Antonette – made us piss ourselves laughing! OMG that food looks amazing! I haven’t been to any part of Asia, but the cuisine is my favorite (I know that statement sounds like I’m lumping the whole continent together, but literally all of their regional cuisine is the best!). I should not have read this before dinner. Ha ha ha 🙂 You are right though and it was mainly the reason we wanted to spend a few years travelling there! 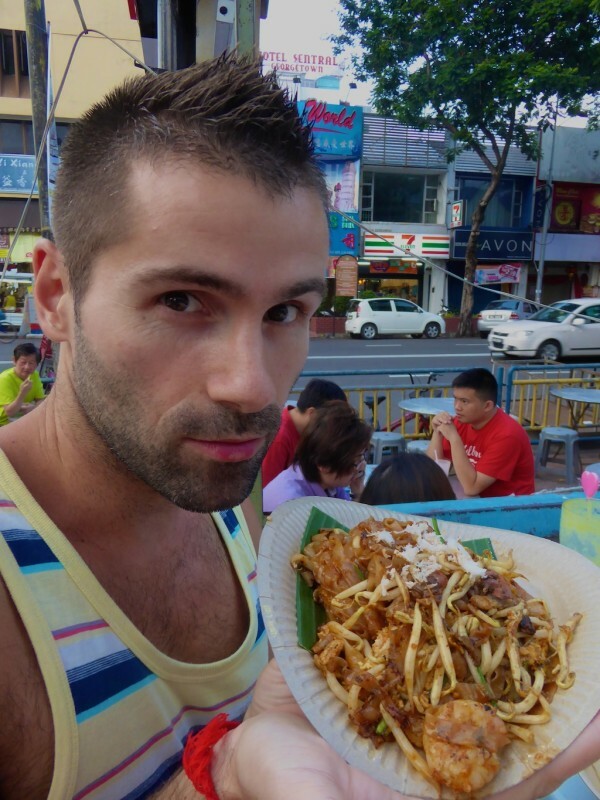 This post makes me hungry and miss char kaoy teow! I loved the food of Penang and the people because my family is of Chinese blood and many of the food in Penang is what we ate growing up in Manila and NYC! I didn’t do a cooking class but it looks like a great activity for all! I never know where to eat when I travel and often end up eating just “anywhere” especially on the first day. So if I ever go to Penang, your post might be super useful. 😉 Ps. I wouldn’t call Lonely Planet the travel bible. The food looks amazing! I’d love to get out there and give it a try. Looks like some unique things to try and other classics like good Indian food. Thanks for sharing. I’m not a very adventurous eater so markets like the Red Market are a great place for me. I can usually find something if I have more options. I think I would like the Chinese crepe and the char kaoy Yeow noodles. Wow it’s long post, great one with lots of adventure. I guide at my home town food & culture tour 🙂 put it in ur mind !!! I can’t decide whether I like your photos of food, the photos of street art, or the photos of the two of you the most 🙂 The street art is so whimsical… Thank you for capturing it and sharing with your readers. But the food photos… Hm, yum… I ‘m getting hungry! Haha, Stefan playing chef is awesome! How did you get them to let you do that? I think you saved the best for last on this list, because those char kaoy Yeow noodles look amazing. I’d love a plate of those right now! 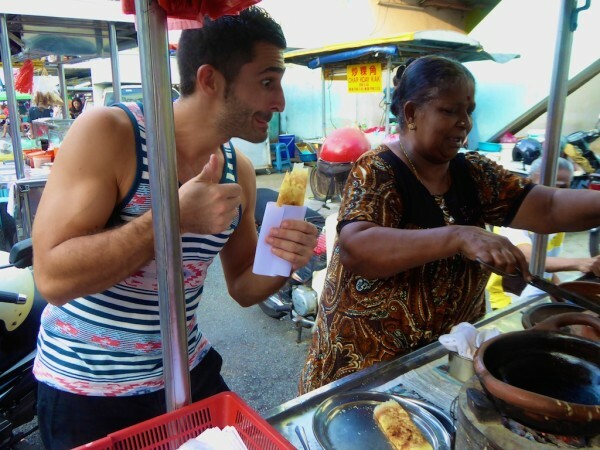 Fantastic food guide to Penang! All that food just makes us wanna eat the screen! This is awesome stuff. Asia is very exploratory with food (which we love! ), so it’s on the list for a foodcation! Thanks for sharing this. Wow, amazing food! We missed Penang unfortunately on our trip to Malaysia, but we really hope to get back there one day and plan to visit Penang. The cooking course would be great, or the tour or both 🙂 And it looks like you really enjoyed your time there! Thx guys – it’s an awesome city. I always look forward to reading your guides! They are so detailed and full of fun! Your food photos literally have left me drooling on my couch perusing every Asian take out menu I have here. I’d love to do a food tour in Penang and sample the confluence of Thai, Chinese, and Indian cuisines. The cooking class is such a great way to bring food experiences back home. Thanks for sharing. Will definitely be using this guide when I travel to Malaysia! P.S. Those pods are fascinating! Okay this fat chic is so starving now after reading this. What fabulous food you had and so many amazing adventure. I am so tripping over that sleep pod thing. Way cool. My son wants to go to Japan soon and I am now even more excited to plan a trip. Thanks Rebecca – Japan also truly amazing too! It seems like Penang is not only great for food, but for a lot of other things as well. I’d love to stay in that time capsule hotel, seems so cool (for a night or so, too much purple light 🙂 ). And the food, it seems that the food is just everywhere and all around! Definitely a place to visit, since I looooove, Thai, Chinese and Vietnamse food. Great read! Ha ha ha very true 🙂 A foodie’s paradise! It’s been too long since I’ve visited Penang and yes the food is pretty amazing there especially love the Indian food, soooooo delicious! A visit is overdue for you Noel? LOVE all the food there – ha ha ha! Thanks for the comment aunty V. Fish market’s always the best place for a #sexyuncle ?? ?